The Washington Post has unveiled its expanded flagship news app for iPad, now available on the App Store. The app provides a dynamic news experience with all Post content, blogs and multimedia updated throughout the day; a replica of the print newspaper with a 14-day archive and over 40 comic strips; real-time social content and more. 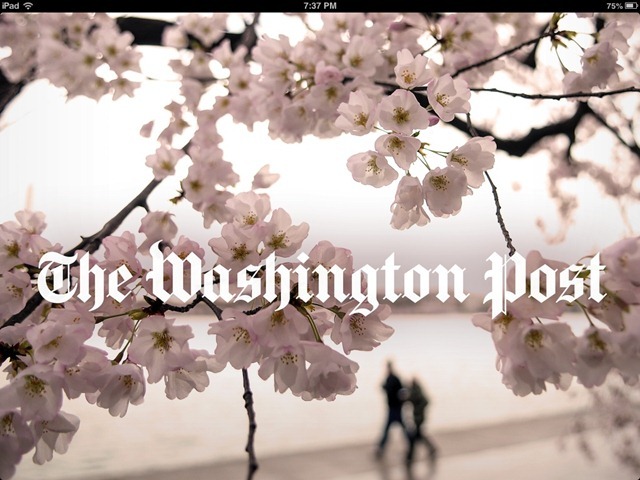 The first big change in this update is that The Washington Post is now a Newsstand app. 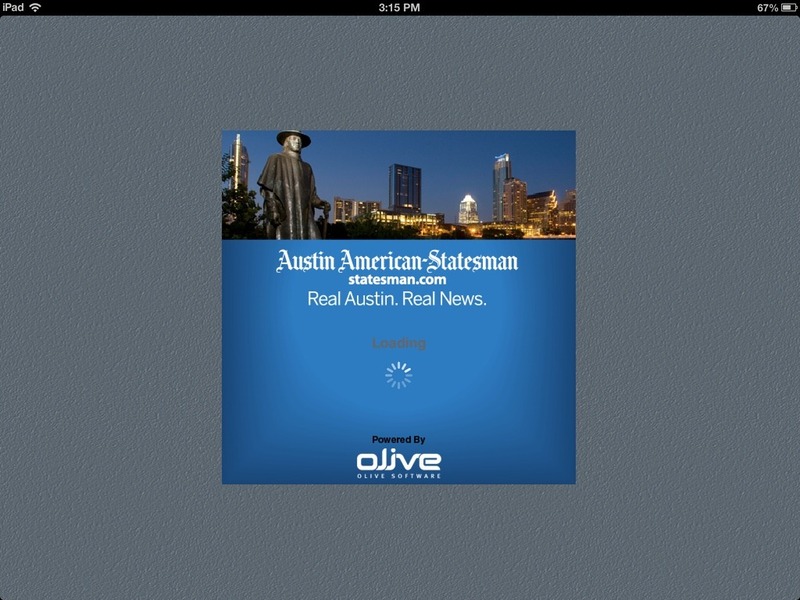 It’s a free app and currently has no subscription options.It offers complimentary access for everyone through ‘Summer 2013’, and appears to have monthly sponsors in addition to being ad-supported. 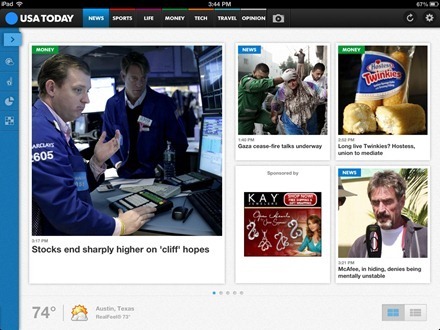 USA TODAY for iPad has had a major update today, to Version 3.0.0. 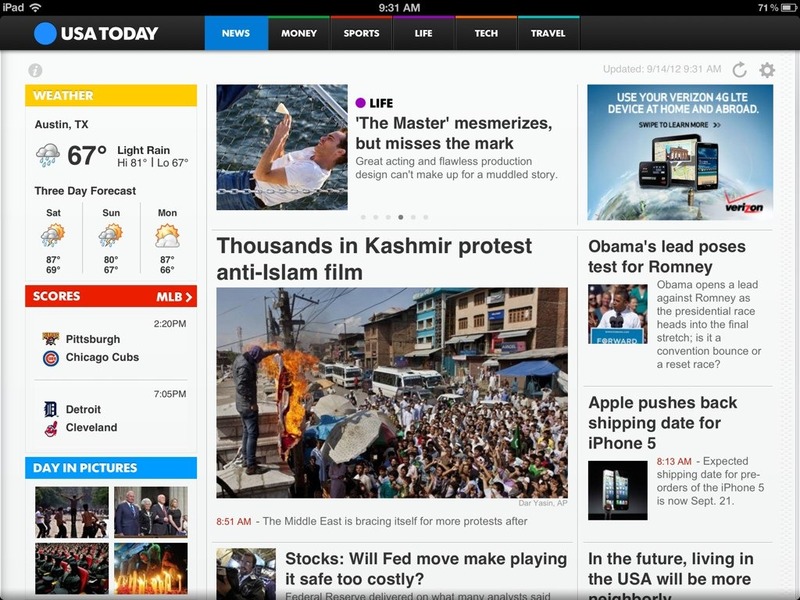 It’s a significant enough update for the change list to refer to it as ‘the new USA TODAY for iPad’. – Save your stories: Not enough time to finish reading an article? Do you have to power down your iPad on the plane? No problem, just save the article and read it later! – Story highlights: Get a quick summary of a story on the first page with these new essential article highlights. – Media index: Do you want to interact with the news? Now you can access a vast selection of USA TODAY photo galleries and videos. I’ve only just installed the update a short while ago, but I have to say the fresh new look and interface make a very good first impression. The app formerly known as The Guardian iPad Edition has been updated and is now renamed to The Guardian and Observer iPad Edition. The name is not the only thing that’s changed though – the new name signals a major update for the app and the inclusion of a Sunday issue powered by the Observer. 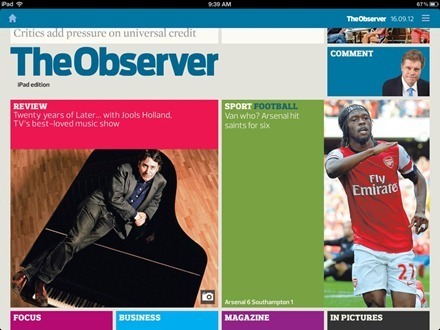 The Guardian and the Observer are both very high quality newspapers. I spent many years living in the UK and both titles were favorites of mine back in those lovely days when I would buy three or four big Sunday papers and spend large chunks of the day and evening reading them. USA Today for iPad, the iPad edition of the popular dialy newspaper, was updated yesterday – to Version 2.1.0. The app also has a simpler new icon that has very ‘webby’ sort of feel to it. I did a review of USA Today for iPad back in 2010 and thought it was a stellar iPad edition and one of the newspaper titles that had adapted best to the iPad. The same still holds true today. 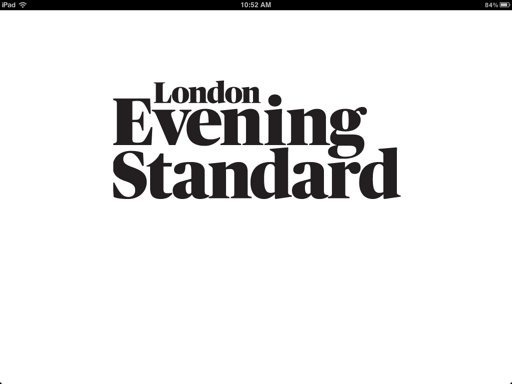 It may not offer the most heavyweight content and it’s not a New York Times competitor, but it’s a slick, easy to use iPad edition that’s very nicely designed and a pleasure to read. I like the design refresh in this latest update. The new navigation bar is very handy and makes moving through the paper’s sections even smoother. Here’s an App Store link for USA Today for iPad; it’s still a free, ad-supported app with no subscription plan required. 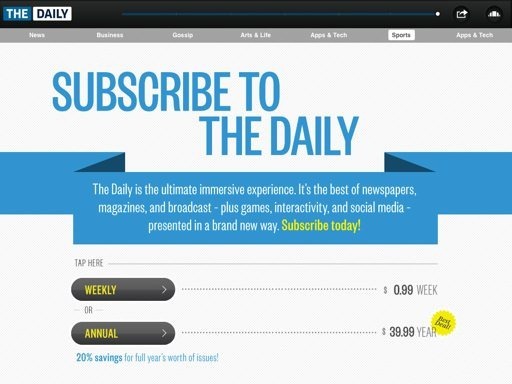 The Daily, the original iPad-only newspaper, has launched a new in-app magazine today. The magazine is called WKND and it’s presented as a new section within The Daily which will presumably feature in the Saturday and Sunday issues of the iPad newspaper. Meet The Daily’s new in-app magazine WKND, featuring food, fashion, travel, reviews, exclusive interviews, and more. Plus, we’ve made some updates to other sections too. Curl up and dig in! You’re going to love weekends with The Daily. Oh the laughs and fun The Daily provides. Not so much in their Arts & Life or Gossip pages – but more in the ‘Continually Flubbing the Basics’ sort of way. You know, like not downloading new content automatically like Newsstand apps are supposed to. Or, for its latest trick, routinely ‘forgetting’ that I’m a subscriber. This morning, as it does many mornings, the app greeted me with the lovely page shown above – telling me how swell it would be to become a subscriber and prompting me to do so now as my free period has expired. Great idea – except that I am already a subscriber, and have been for many months now. The Daily, the first iPad-only newspaper, is celebrating its first anniversary today. It’s published by Rupert Murdoch’s Newscorp and has had backing to the tune of over $30 million before it even hit the App Store. 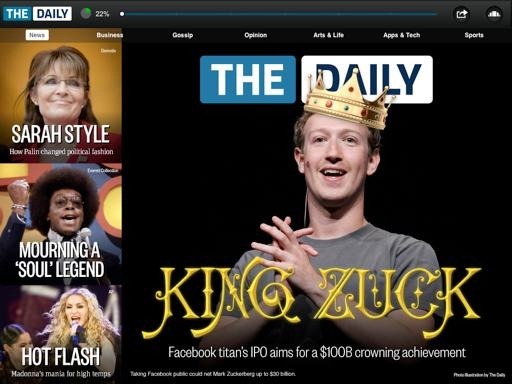 The Daily is a promising title, purely on the basis that it is the first of its kind and News Corp is obviously committed to making it a top-notch title for the iPad and possibly other tablets as well. It has a long way to go to deliver on its promise though. Right now its speed and performance issues are severe, and they are killing the user experience in the app. They’re bad enough that it is tough to stick with the title. Sadly, a number of those really basic performance issues stayed with The Daily throughout much of its first year. Millions might have been spent in many areas, but it sure didn’t look like many pennies were being put towards making the app work well. The Guardian iPad Edition has been downloaded over half a million times since its release a little under three months ago. I haven’t seen many comparative sets of information from other iPad newspaper publishers, but that seems like a promising number. I wonder how many of those who’ve downloaded the app though – especially as the three month initial free trial period is about to run out on Friday of this week (1/13). From there onwards you need to take out s subscription plan – currently priced at $13.99 a month. The Guardian iPad Edition has also added the Guardian’s Weekend magazine to its content mix starting this weekend (in the Saturday 1/7 issue). The new weekly section, accessible from the app’s top navigation bar, will feature content from the Guardian’s award-winning magazine supplement, including columns from Tim Dowling and Lucy Mangan, letters, fashion and beauty, blind date, recipes from Hugh Fearnley-Whittingstall, Yotam Ottolenghi and Dan Lepard and Alys Fowler’s award-winning gardening column. As much as I enjoy The Guardian’s quality content and breadth of coverage, that’s just not an amount I’m willing to pay right now. There are just too many good inexpensive or free sources of news to justify that price. I hope The Guardian may adjust that price significantly in future. What about all of you? Any Guardian and / or Guardian iPad Edition readers here? If so, will you be subscribing when the free period runs out this week? 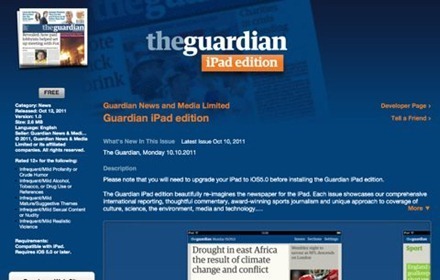 Two quality newspapers’ iPad editions have received updates this week – The Guardian’s Guardian iPad Edition and The New York Times’ NYTimes for iPad. Guardian iPad Edition has been updated to Version 1.0.2. Notable new features include support for saving articles to Instapaper, native iOS 5 Twitter integration, and the addition of Weekend magazine from mid-January. NYTimes for iPad has been updated to Version 2.1.7. The big new feature here is the addition of live election night voting results throughout the (Presidential race) year – starting with the Iowa caucuses in early January. It also contains a few bug fixes and performance enhancements. Both are free apps with subscription plans available via In-App purchase. 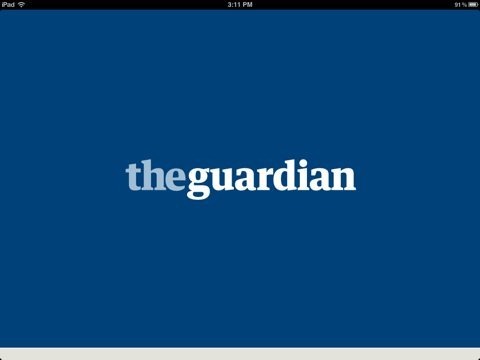 Guardian iPad Edition works with Newsstand to offer automatic issue downloads in the background. NYTimes for iPad does not as yet.